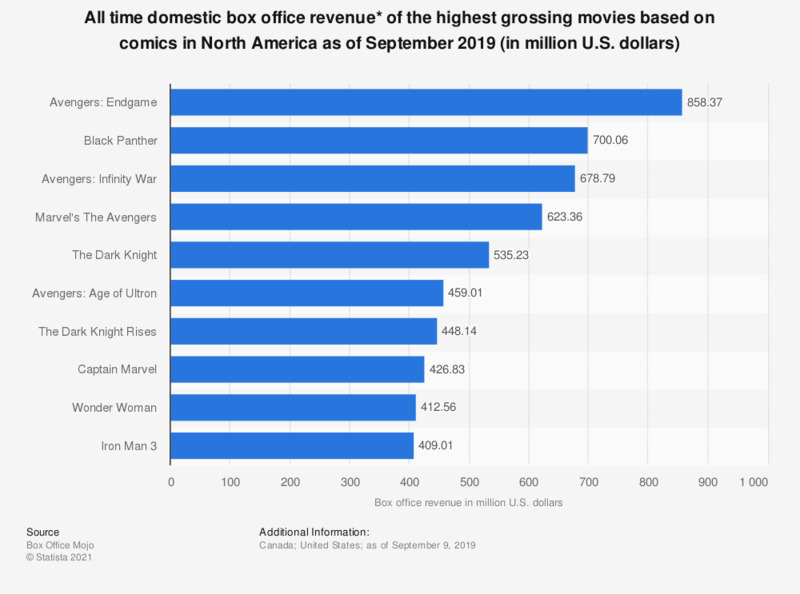 The statistic presents the all time domestic box office revenue of the highest grossing movies based on comics in North America as of March 2019. The list is headed by "Black Panther", which generated 700.06 million U.S. dollars in box office revenue, and is followed by "Avengers: Infinity War" which generated revenue of 678.82 million. * Figures are not adjusted for inflation. Revenue includes all box office earnings of the respective movie, including re-releases and special editions.